West Valley City, a suburb of Salt Lake City, is the second largest city in Utah. A relatively young city with a culturally diverse population, West Valley City began as a collection of farming communities that evolved into suburbs. It’s currently one of the fastest growing communities in the state, thanks in part to an aggressive economic development team that has been successful in recruiting new business while revitalizing existing business, transit, and commerce centers. Aaron Crim, Director of Public Relations & Digital Media, said communication and citizen engagement have been ongoing challenges for the City as it rapidly evolves. 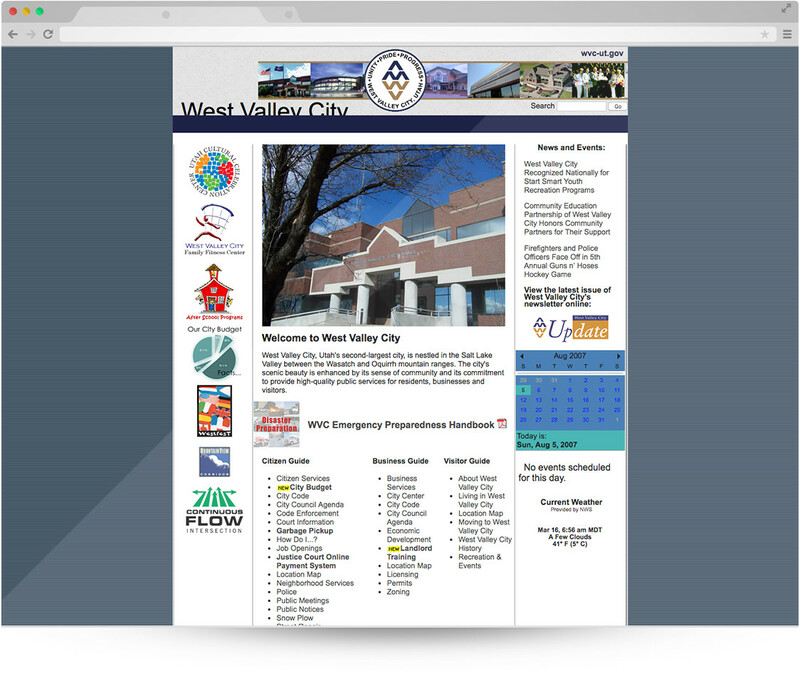 More and more, they’re looking to their website as a primary tool to bring the City together and make continued strides in these areas. "Our overall experience has been pretty fantastic. I get asked by other cities all the time who I’m using and I always give rave reviews because we’re just as happy as could be with our website and the service we get." "We direct all communication to the site, so everything is all in one spot, easy to find, easy to search for. People can pick and choose what sort of information they want and find it really easily." 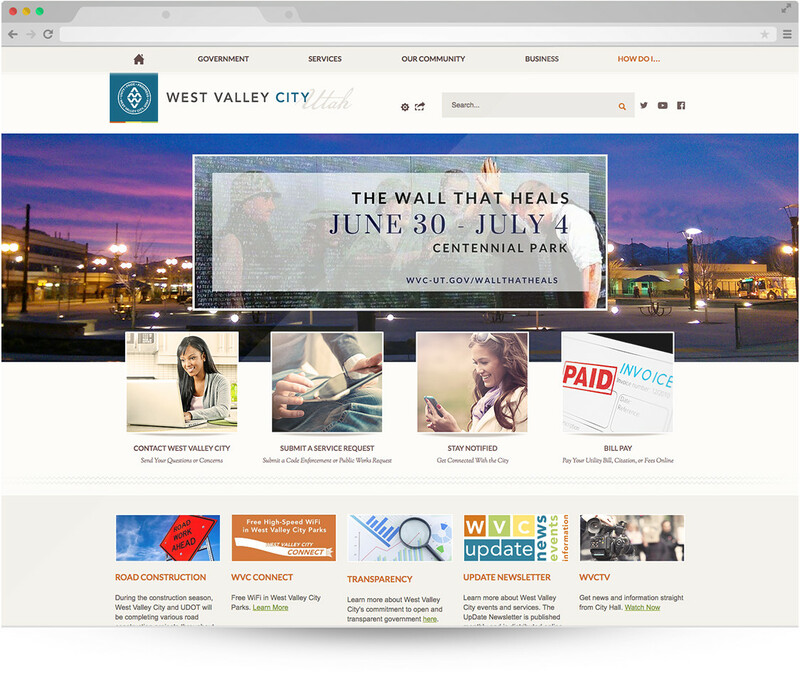 West Valley City has been with CivicPlus ever since and has been through two subsequent redesigns to keep up with the times. Crim said he loved all three designs and was pleased with the way CivicPlus guided them through the process. Crim said the police and fire departments are especially thrilled with the new site. “They’ve been able to do a really good job in engaging with the public by using the website to get a lot of information and input from people,” he said. "The new site is very easy to maintain. The people who have access to upload and directly publish find it very easy. And the people I manage pages for are really impressed that I can come to their office and make changes with the live editor as we’re going through it. The whole user interface is fantastic."